Ultimate Dream Experience; the Kimberly coastline showcases its unique and wild beauty (photo: Brook James). Why you love it… Driven by good looks, the exotic allure of a far-flung location, and copious opportunities for adventure, the Kimberley has well and truly stolen your hearts as Ultimate Dream Destination for the second year running. Here at AT, we’ve taken in its breathtaking turquoise waters; flown over its vast rugged landscapes by helicopter; passed through its gorges by boat; driven its adventure-filled trails by 4WD; swum in its remote waterholes ; and walked its scenic tracks. And yet we still have so much more to explore. Our hot tip… One of the country’s most epic road trips is the Kimberley’s Gibb River Road; be sure to have plenty of time up your sleeve to do it properly and add Bell Gorge to your list of must-stops. 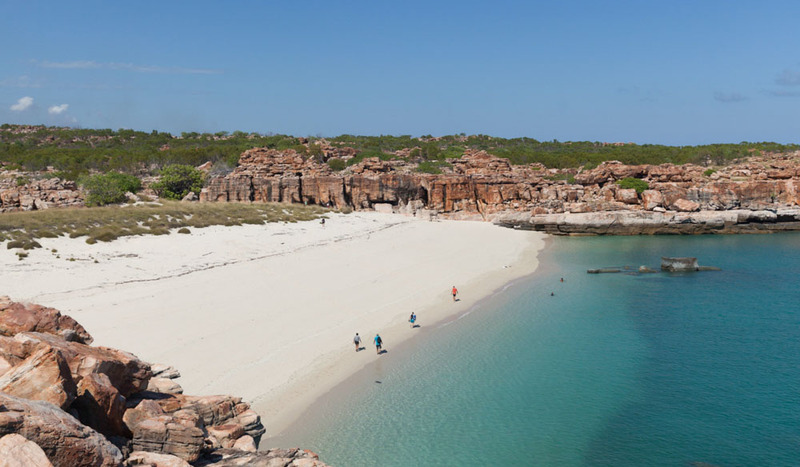 If you love this, your next dream experience should be… the South Australian outback. With outstanding natural wonders such as Ikara (Wilpena Pound) and the Flinders Ranges, and outback road trips that take in everything from the sparkling coast to rolling vineyards and stark desert, adventurous activities abound. The South Australian outback is an extraordinary proposition. With so many worthy finalists nominated by our very own AT readers, don’t miss out on finding out where all these amazing places are!